Native of France, MANUEL VIGNOULLE is an award-winning choreographer and the artistic director of Manuel Vignoulle - M/motions, a project-based company based in New York. He studied at The Conservatoire National Supérieur de Danse de Paris and worked as a dancer at Cedar Lake Contemporary Ballet (New York) and at Geneva Ballet (Switzerland). He has been Redha’s assistant choreographer for Alvin Ailey American Dance Theater (New York, USA), Deutch National Ballet (Amsterdam, Netherland) and State Theatre (Pretoria, South Africa). Manuel has been commissioned by Ailey II, Whim W’him, Makers Dance Company, Satellite Collective, 10 Hairy Legs, Ballet Arkansas, Chicago Repertory Ballet, DanceWorks Chicago, Periapsis Music & Dance, Peridance Contemporary Dance Company, Steps Repertoire Ensemble and others. He has performed his own work with Manuel Vignoulle - M/motions at Jacob’s Pillow, Fire Island Festival, Bryant Park, APAP (New York), Monterrey International Ballet Gala (Mexico), (Mexico), Summer Heat International Dance Festival (Tulsa, OK), LifeChance International Ballet Gala (SC), Palm Spring Dance Festival (CA), Hudson Valley Dance Festival, The Dance Gallery, Pushing Progress Showcase Series, WestFest and The Latin Choreographer Festival (NY), and in France, Switzerland, Mexico, Brazil and USA. Manuel recently won the Grand Prize Award at the 20th Anniversary of McCallum theatre Choreography Festival in November 2017. GUIDO TUVERI has been in the performing world since 1989. He received awards and nominations for his work that has been performed in divers parts of the globe. Been a fault teachers in prestigious dance studios of NYC for many years, and taught his INTROSPECTIVE approach to dance and movement in general. CIA de Cámara, UNA. Heredia,COSTA RICA, SKånes dans Theater. MALMö, Sweden. Balletto di Sardegna. Cagliari. Italy. Which he also directed artistically from 2008 till 2012. This is the second collaboration whit A Corona works. His aim is that to bring out the joy that is generated by movement and the truest emotions that are always ingrained in. He has just come out with a new workshop called MOVE2LIVE movement and dance are true tools that we use to access our subconscious connection with the other to access a higher level of truth in the performance. I believe that performing is a gift to Life….and so is been a spectator, especially when we are resonating with what we see. KRISTIAN CELLINI graduated as a classical and modern dancer in Rome. Began his twenty year career working as principal dancer with Carla Fracci and George Iancu in “Five Events of Medea” and “Romeo and Juliet”, with Derevjanko, Luciana Savignano, Daniel Ezralow, Micha Van Hoecke, Renato Greco. In 2008 he is the choreographer of ”III Festival Internazionale – Regione Lazio”- Cairo (Egitto). In 2010 he created a new choreography for the etoile Giuseppe Picone for the theater tour of Andrea Bocelli. In 2011 he choreographed the rock opera “The Ark of Jade” – “Triumphant debut of The Ark of jade in Piaz- za di Spagna” . In 2012 his “Omaggio a Vivaldi” specifically created for the Gala at the Festival International of DansEncore Quebec – Canada, received long standing-ovations. In 2013, he is the choreographer of “Short Time” with MaggioDanza company, at the Teatro Mag- gio Musicale Fiorentino and for Andrea Bocelli’s concert – “Presenze” – Teatro del Silenzio. In 2014 he is the choreographer in the show theatrical “Da Padre in Figlio” of showman Max Giusti at Teatro Sistina in Rome and guest choreographer at the Festival DansEncore Canada with “Movi- mento Italia”, a triptych of three different choreographers: K.Cellini, M.Astolfi, R.Campanella. Over the last decade, Kristian is called as guest teacher around Europe and in professionals centers such as MAC, IALS, as well as the Boston Ballet, School, George Randolph School, Arts Umbrella in Vancouver, Centre du Marais and Studio Harmonic in Paris, at the Festival “BarcellonaJazz” a Barcellona, Beirut (Liban). In 2015 he is guest choreographer and teacher at the “BCB Bangkok City Ballet”. In the same period is also maitre de ballet at the “ProArteDanza of Roberto Campanella”. In 2016 he created “Trittico Barocco” for 9 dancers and 2 great dancers such as Giuseppe Picone, now Director of the Teatro San Carlo in Naples and Letizia Giuliani, the First dancer of Teatro Maggio Musicale Fiorentino in Florence. Kristian is thrilled to present his new work ,’The impossible Love’, for A Corona Works in New York City directed by Alessandra Corona. 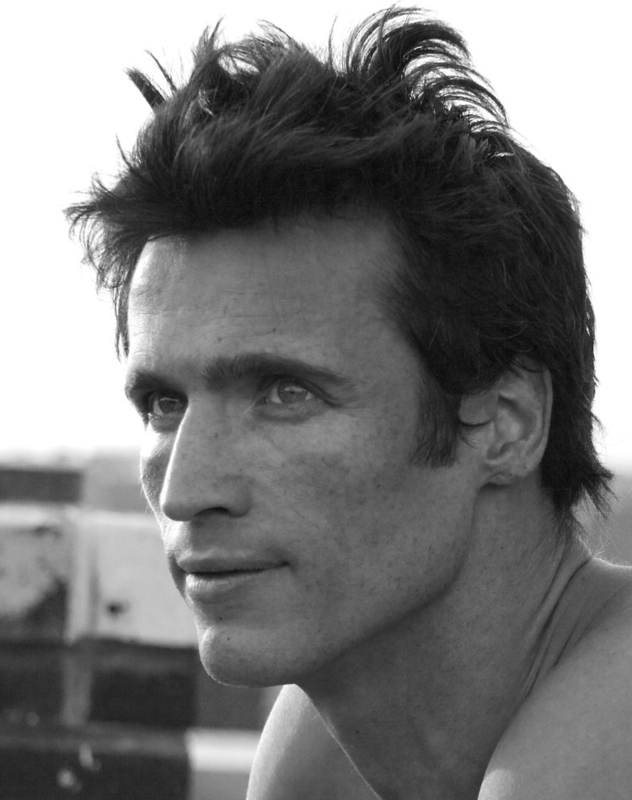 RAMON OLLER is a dancer, choreographer and director of contemporary dance company, born in Esparraguera (Barcelona). He studied at the Institut del Teatre of Barcelona with Laura Tapias, Juan Ten, Ramón Solé, Marina Coll and Dafna Rathause. He made his debut in 1981 with the Gelabert-Azzopardi company, with which he remained until 1984. His first choreography, two Dies i Mig (1984), won the second prize of the competition choreography Tortola Valencia in 1984. In June of 1985 formed the company meters, for which, among others, has created works: La Parada (1985), of meters and meters (Fernández, 1986), Nofres (Fernández, 1987), almost alone (1988), to the single end (1988), perfectly alone (1988), Sols to Suns (Aubry and Dietrich, 1988) premiered at the Autumn Festival of Madrid and replacement for the Ballet of the Opera in Essen in 1995A Tu Vera (1989) premiered in the encounters of contemporary dance from Valencia, the edge (1989), Magdala or what happened with cupcakes? (Roig, 1990), here not there is no Ángel (Schwarz, 1991), lie to me please (1994) which received the national prize of interpretation of the Generalitat of Catalonia, headquarters of winter (Rodríguez, 1994), already asleep (Tchaikovsky, Roig and Monk, 1995), Romy & July (Demestres, 1996), poems of problems (love, 1998), the musical runs, runs, Diva (several, 1998), premiered at the Festival of Peralada, and border (the garden of screams) (traditional Mediterranean, 1999), commissioned by the 48 International Festival of music and dance of Granada. Along with Jean-Christophe Maillot oranges and lemons (1986), he choreographed for the national choreographic Center of Tours. Some of his creations for other companies have been: Good Night Paradise (Rossell, 1994), which earned him the award for the best show of dance of the year by the New York Times, and Tears for Violet (1995) both for the Ballet Hispanico of New York, Pral. 1st. (several, 1994) and Diwano (Roig, 1995) to the Compañía Nacional de Danza, portraits from memory (Rodríguez et al., 1995) for the Andalusian Centre of dance and La Celestina (Bernaola, 1998) for the National Ballet of Spain, directed by Adolfo Marsillach. He has taught courses and workshops both in Spain and abroad. He has been awarded with the Premio Nacional de Catalonia Daza (1994 and 1996) and the Premio Nacional de Danza of the Ministry of culture (1995). Since 1996, it is artistic coordinator of the Andalusian Centre of dance. GINO LANDI, il cui vero nome è Luigi Gregori, nasce nel 1933 sul palcoscenico del “Dal Verme” di Milano, teatro nel quale i suoi genitori si esibiscono in uno spettacolo di varietà. Studia danza nella stessa città con Oreste Faraboni, per iniziare poi la carriera teatrale come ballerino ma ben presto si accorge di preferire la composizione coreografica piuttosto che esibirsi davanti al pubblico. Una sera del 1956, al Teatro Alcione di Milano, un suo lavoro, “Bulle e pupi con fanfulla”, è notato da Erminio Macario che lo vuole come coreografo per il suo prossimo spettacolo. Entra così nella “Grande Rivista” mettendo in scena la commedia musicale non sparate alla cicogna di Amendola e Maccari. Con la nascita della televisione si aprono nuovi orizzonti e Landi, entrato alla Rai nel 1958, realizza le coreografie di trasmissioni molto popolari, diventando uno tra i più celebri coreografi nel panorama televisivo e teatrale nazionale ed internazionale. Dal 1969 inizia un importante sodalizio, durato quasi quarant’anni, con Garinei e Giovannini che lo vogliono creatore dei balletti di tutti i loro spettacoli. Dal 1970 collabora con il Festival Internazionale dell’Operetta di Trieste, per il quale ha realizzato, come coreografo o come regista o in entrambi i ruoli, più di trenta produzioni. Dal 1977 intensifica la sua attività in televisione nella duplice veste di coreografo e di regista realizzando, sia per la Rai che per le nuove televisioni commerciali, più di settanta programmi televisivi.